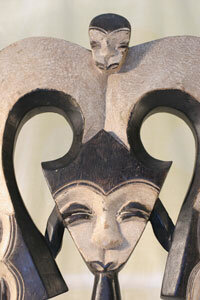 Comments: Find old "Ekuk" mask, representing guardian spirits. 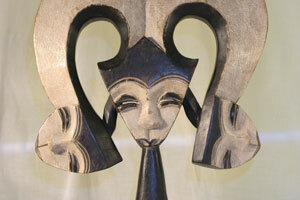 The face of the mask painted with white kaolin, representing the spirit world (peace and tranquility). Fine patina. 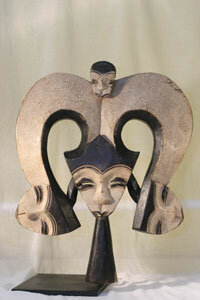 Maskers do not wear Kwele masks during ceremonies; instead they are shown to the audience. 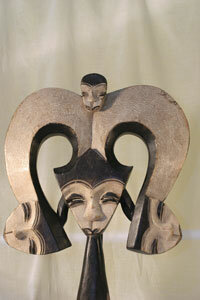 Very stylized, with downward curving horns, mouth close to chin, and intricate carving of minor faces.